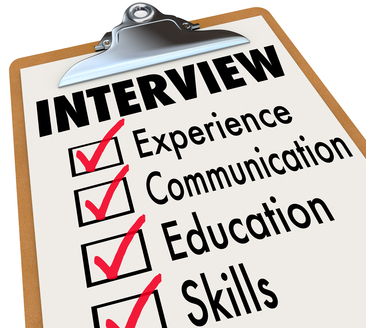 Being successful with an interview begins by having knowledge about the job and company. By understanding the requirements for the position, and the interviewers background, the better you can provide answers tailored to the position you're applying for. This is another area where you can be successful in an interview, by preparing your answers to questions that can be expected. Start by asking what to expect from the interview, or the type it will be. You can ask the person at the company which you contacted at first. This helps you better build your answers to be detailed, but relevant to the position you seek. An interesting way to remember your answers is to convert them into a story format which you're going to tell the interviewer. You don't, and shouldn't memorize your answers, but having talking points is still a good idea. 3. Tailor your story to the job. The following step in your process should be building your story around the employer. To do this, first consider what you would be looking for if you were the interviewer, what questions would you ask? Then decide which stories would be most relevant to respond with. Good stories would cover how you handled certain situations, challenges, stress, pressure, and ones where you learned from your failures and mistakes. Stories that cover skills and talents are a good way to let them know what you can do as well. Practicing your story before hand is the first step, this way you won't have to reply on quick thinking to answer a question. 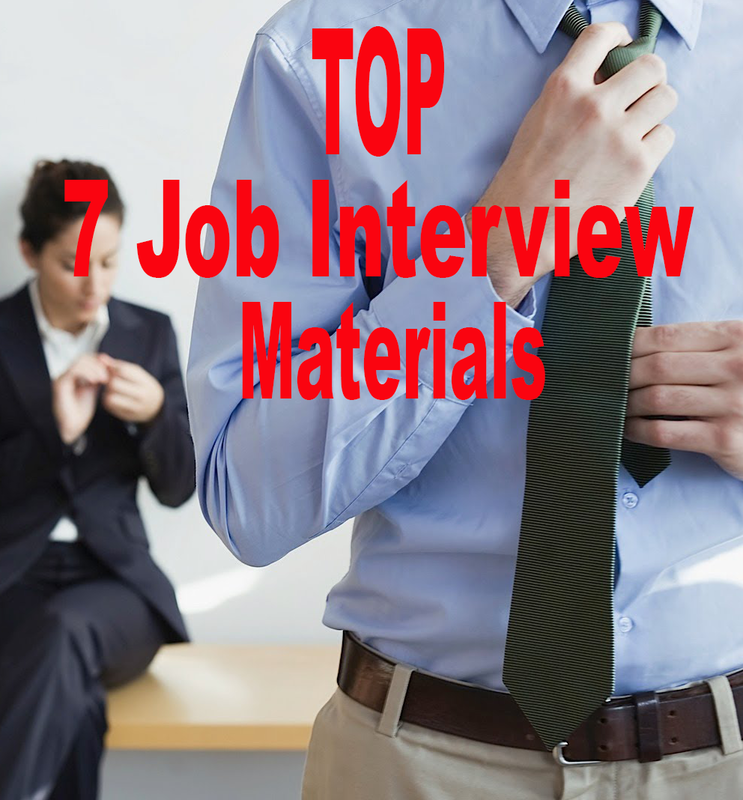 You will have the answers ready before you begin and be able to provide an interview experience which is going to make an impression and be memorable, while showing your abilities and competency. Dressing to empress is important, but you should also consider how you would dress for the position you're applying for. Overdressing is more acceptable than under-dressing, this includes making sure your presentable, and clothing is clean. You should minimize the use of jewelry and accessories, and don't eat prior to the interview, or smoke so you smell presentable as well. Using mouthwash just before the interview can help. 5. Arrive on time for the interview. Unless there has been some type of disaster, there isn't an excusable reason to be late for your interview. You should aim to get there 10 to 15 minutes earlier than your interview time is scheduled in case they have any other paperwork. Being there before the interview allows you to get an idea of where you would be working as well. The day prior to your interview is a good time to begin preparing your copies of the CV, resume, and any reference lists you have to take. You should also bring any work samples or a portfolio that you have, and also bring plenty of pens, and a notepad. Also remember to turn your phone off once you arrive to the office, and ditch any gum you may have been chewing on. There's a rule to interviews, greet others and be polite to everyone. This includes the parking attendant, a receptionists, the interviewer, you never know who's opinion may be the difference in you getting the job or not. Also remember the first several seconds of the interview is very important as this is their first impression of you. You should do your best to make the first impression a strong one, this includes dressing appropriately, being early, and be sure your greeting is done with a smile, eye contact and good posture. Your shake should be firm, not like you're afraid you'll hurt them, but not hand crushing either. Studies have shown a positive attitude, as well as showing enthusiasm over the job position and the company are very important in the beginning stages of the interview. This is because the interviewer is going to make the most critical choices in the first 20 minutes. Remember, the choice of words yo use for responding is important, but so is your body language. Having negative body language can become a distraction for the interviewer, and it could even cause you to lose out on the job. Body language that gives off a positive message includes eye contact, smiling, active listening, solid posture, and nodding. Body language that give off a negative message includes slouching, playing with pens or fidgeting, looking into space, constantly touching your face, mumbling and chewing gum. Research has also shown that the interviewers judge during an interview based on how interested the applicant is about the job, do they ask questions, if so what kind? This means although the interviewer covered a bunch and was thorough, you still should ask several questions relevant to the job. Preparing days prior to the interview is suggested, this gives time for practicing and any other questions that come up during the interview should be added. There's a proverb with interviewing which states the one who is hired, isn't always the top qualified applicant. This means the one who shows they have what it takes by answering questions often gets the job over the highest qualified person who simply sits there. Consider the interview as a sales position, where you're the salesperson trying to sell your product (your skills and abilities). Describe how you can benefit them, their company, and solve their problems. When the interview begins coming to an end, inquire about the following step in the hiring process, and a time frame of when you should be hearing about the decision. If you're looking into a job in sales, or a similar job where aggressiveness is a key skill you may try requesting the job during the closing of the interview. 10. Be Authentic, Upbeat, Focused, Confident, Candid, and Concise. Upon beginning the interview, remember quality and the ability to deliver your responses is important. You should always strive to respond honestly, and with authenticity to any of the questions. However, your main goal is to make it to the following step in the hiring process, so you want the answers to be tailored to your skills which are relevant to the job. You should also be able to provide examples that back up your answers, use relevant situations, showcase your accomplishments, and be brief. If you have prepare your answers to the most common questions as stated in #2 above, you should be able to avoid extended answers which could come off as boring to the interviewer. All answers should be strong, but brief and to the point. And last, but not least, don't let the interviewer trick you into talking bad about a previous employer, co-worker, or supervisor. The interview should be focused around you, showcasing what you can bring to the company. 11. Focus more on what you can do for the company, rather than what they can do for you. When it comes to an interview, someone has to take the role of a seller, the other the role of a buyer in the early stages. At this stage, you are the seller trying to sell your skills to the company. This makes the interviewer the buyer. At some point during the interview, you will be asked if you have any questions for the interviewer, and you don't want to say “no” or “I can't think of anything”. At the same time, it's also bad to have a long list of questions. · Can you describe a usual day for the position? · What would my top priority be within the first 90 days? · What is the top challenge your department is facing in the near future? · Is this position new, or a replacement? · When it comes to generating new business, what is the company's strategy plan? · What type of management style does the company have? 12. Bring examples of your work. Don't underestimate the power behind showing printed work examples. Being in the executive recruiter position, there has been many times when I have been called up after an interview by the hiring manager just to express how impressed they had been with the candidate, just because they brought the work examples with them. Because the majority of applicants forget to add this in their preparations, just this alone will help put you apart when it comes to other candidates. There have been some who brought written copies of their recent job evaluations. However, this should only be done if the evaluation was top notch. By sharing with the interviewer your strengths and skills, they will make note that you said so. However, if you are able to back up your statements with documents showing your previous bosses have also said this, it will make a much larger impact. Also if you have any visuals that show how you have helped to improve the company, such as graphs that show how the amount of time and costs were reduced due to your actions, these will also help make an impact. 13. Don't bring up salary or benefits during the first interview. Remember that an interview goes both ways, you are not the only one under evaluation, you are also evaluating the company. Changing jobs or moving into a new field is a huge deal, and it's important to understand how things work with the company such as 401k plans, or how they figure out bonuses, and other benefits you may be getting. However, if you ask about any of these things on the first interview, it's basically an interview suicide. You should wait until the company decides if they are going to offer you a position. Once they have offered you a position within their company, this is your chance to begin asking questions like this. 14. Thank Interviewer(s) in Person, by Email, and Postal Mail. If you have been paying attention so far, you will have noticed things such as being polite and courtesy will get you farther during an interview, so this tip shouldn't be much of a surprise, thanking the interviewers. There's no better time than the present to begin, so at the end of the interview, begin thanking the interviewer(s). Then shortly after the interview, send out thank you emails and a letter sent via postal mail. While this step won't ensure you get the offer, it can help put you about the other candidates who didn't send a thank you. It will also remind them of you at random intervals.